New 15-inch notebook for everyday use, the Acer Aspire A315-51-39X3 at less than 470 eurosunder Windows 10 a low-power Core i3 Skylake processor and a 500GB hard drive. It sports a relatively sober and elegant appearance with its black brushed metal finish. 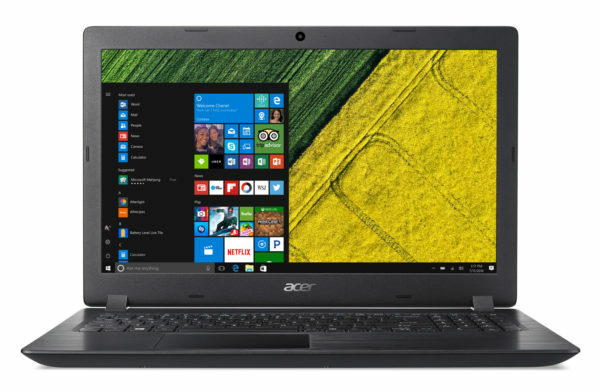 The Acer Aspire A315-51-39X3 is a 15-inch laptop designed for everyday use. In this area such as office automation and surfing the Internet and multitasking not too pushed, it delivers good benefits. 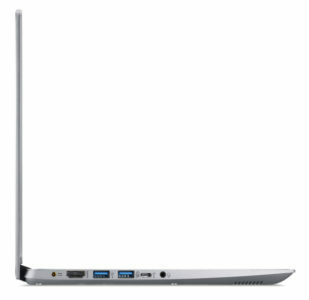 It is equipped with 4 GB of RAM and a low-power processor Core i3-6006U Skylake, the latter showing its limits under CPU intensive software. 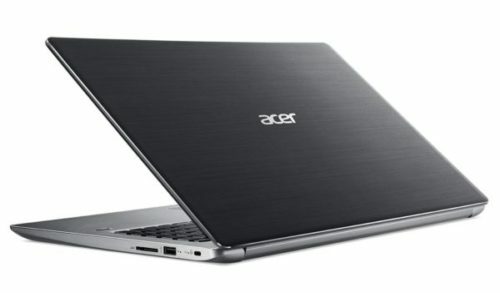 Since it does not have a dedicated GPU, this computer is not suitable for gamers. It is therefore the Intel HD 520 solution housed within the processor that is responsible for handling graphics processing. Thanks to her, you can watch photos and videos. The screen adopts classic specifications and therefore a 16 / 9th format suitable for reading videos with a brilliant treatment subject to glare that revives colors and a definition of 1366×768. 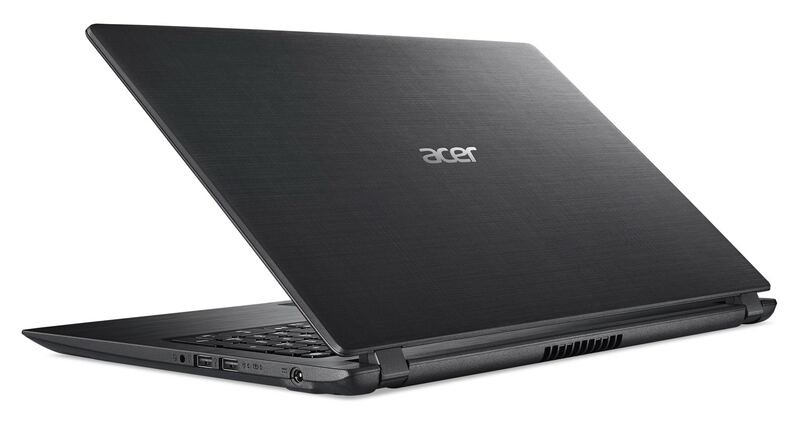 Side storage, Acer is the choice of a hard drive with a standard capacity of 500 GB capable of hosting a lot of files and software. 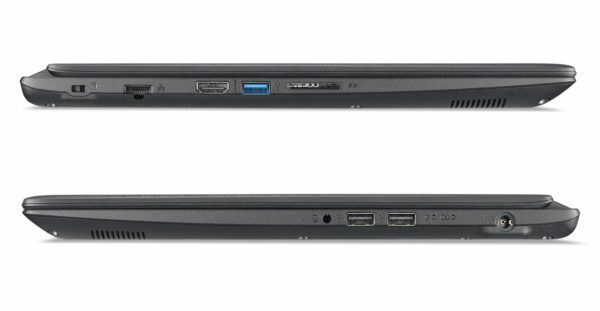 As for the integrated connectivity, it is very correct, including a convenient HDMI video output to easily connect this PC to a TV or monitor for example, audio and Ethernet ports, Wi-Fi wireless modules ac and Bluetooth 4.0 for remote connections and communications or 3 USB all compatible with both USB 2.0 and USB 3.0, USB 3.0 guaranteeing faster transfers than USB 2.0 when plugged into a USB 3.0 device.